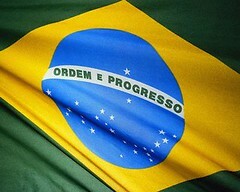 Brazil showed signs of continued economic recovery in July, announcing an increase in its tax collections levels compared to both the previous month and the same month of 2009. In its latest federal tax report, released August 17th, the Brazilian Ministry of Finance announced that total tax collections in July reached BRL 67.97 billion (approx. USD 38.75 billion). The figure represents a 10.8 percent increase over July 2009, and 10.5 percent rise in comparison to June 2010. The total tax revenues for the 2010 calendar-year have reached BRL 447.46 billion (approx. USD 255.11 billion), a 12 percent improvement over the same period in 2009. 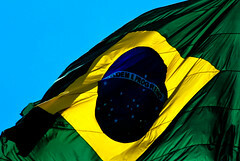 The Federative Republic of Brazil has been praised for the steps it has taken to combat money laundering and terrorist financing, through a series of legal changes and legal infrastructure improvements. The Financial Action Task Force (FATF), an inter-government body created to develop international anti-money laundering policies, has evaluated and approved the Brazilian Government’s implementation of the National Strategy Against Corruption and Money Laundering (ENCCLA). According to FATF’s report, released August 9th, the Government has developed coherent and sound strategy for anti-money laundering (AML) and combating the financing of terrorism (CFT).